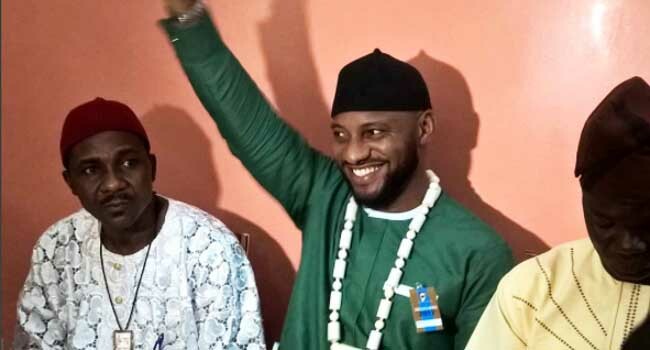 Popular Nollywood actor, Yul Edochie has emerged the governorship candidate of the Democratic Peoples Congress (DPC), in a primary election conducted in Awka, Anambra State. Edochie, who is the son of veteran Nollywood actor, Pete Edochie is from Anambra North Senatorial Zone. Several other candidates have continued to emerge in the various political parties in Anambra State, ahead of the governorship election which is set to hold in November. Edochie, after the elections excitedly took to social media and said: “And I won the party primaries today to become the flag bearer of the DPC. DEMOCRATIC PEOPLE’S CONGRESS. “I give God almighty all the glory. I thank everyone who made it possible. And to all who have placed their hopes and trust in me, I will not let you down.